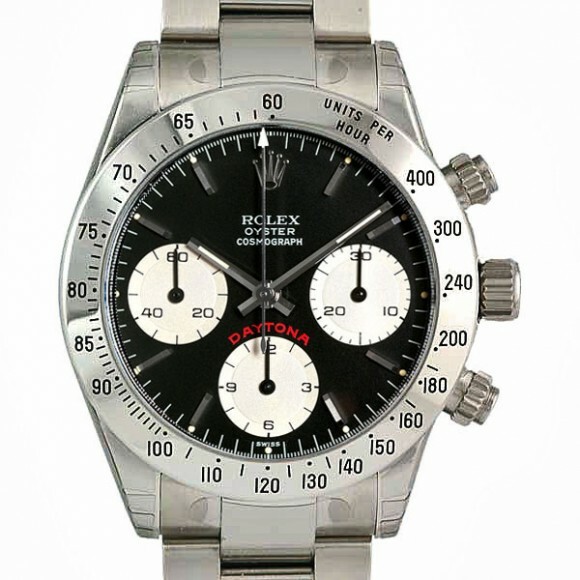 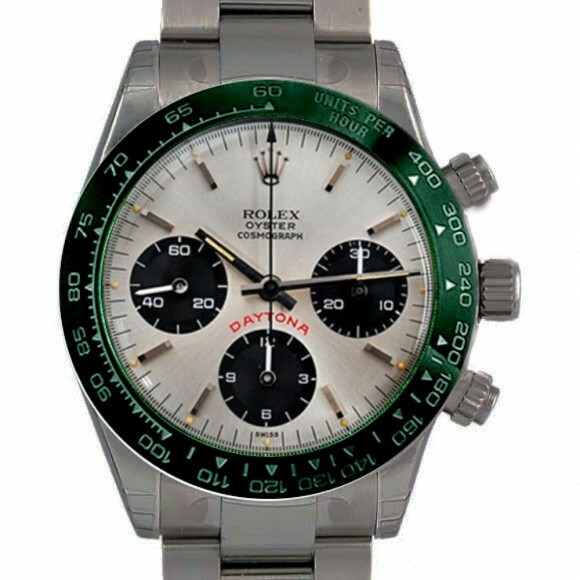 Breaking Basel News, The New Rolex 2013 Daytona will become Platinum! For Daytona 50th Anniversary green Panda ceramic bezel..
My gut feeling tells me that Rolex will surprise us all at BaselWorld 2013 with a new Daytona, to celebrate the 50-ies Anniversary, of their legendary racing chronograph with a all platinum version, with black ceramic bezel and black dial and big red Daytona. With my artist interpretation I removed the crown guards to make it look even more classic, honoring their 50 years of Daytona heritage and below in a bit more grayish, platinum tone.. I think it will become a instant hit! Then Rolex will also show the steel & gold Daytona version (logically after introducing the all gold last year) and then from next year the all steel version for F1. 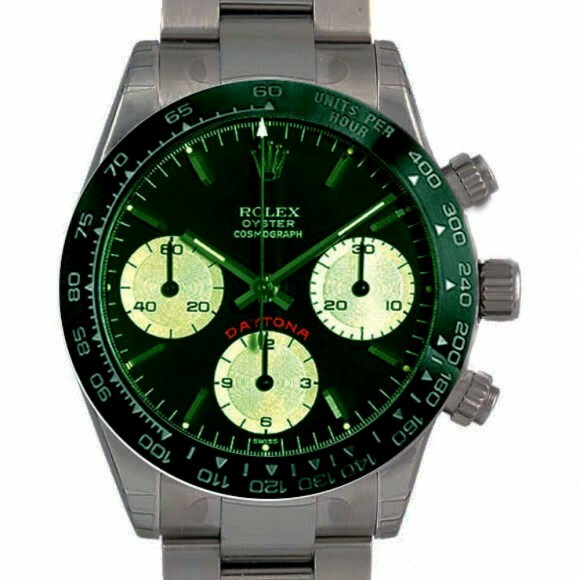 I just got my Press Pass for Basel Show 2013 so soon I will report about the official Rolex news…Will it be the Ref. 216516/6LN? This post was written by Philipp on March 5, 2013.